We treat disease, rarely prevent disease, and almost never reverse disease. Instead of treating diseases we should be treating predispositions to disease. When I changed my approach to this mindset of treating predispositions to disease, I realized type II diabetes has almost nothing to do with the pancreas. As you will see in the following example Type II diabetes and especially its predecessor, insulin resistance, is a disease of virtually every cell in the body EXCEPT the pancreas. Long before a patient is diagnosed with Type II diabetes, they suffer from something called insulin resistance. Insulin resistance is an abnormal physiology in which the body requires higher levels of circulating insulin than normal in order to control blood sugar. For various reasons the cells in the body become resistant to insulin and the glucose in the blood cannot easily enter the cells. The pancreas responds by secreting more insulin to overcome the resistance. This serves as a compensatory response and works for a long time, sometimes twenty years or more. However, it is a progressive dysfunction and over time more and more insulin is required to keep blood sugar at normal values. To give you an idea, the normal fasting insulin level should be around 10 or less and a fasting blood sugar ideally should be in the 60-90 range. For some reason, the convention is to check a fasting blood sugar but not a fasting insulin level. This is absolutely inappropriate. Not only should we be checking a fasting blood sugar AND insulin level, we should be doing glucose tolerance tests that are 5 hours long not 3 hours, and check blood sugar and insulin BOTH, at every blood draw. Only with both of these values can we meaningfully understand what is happening with the patient and understand how best to advise them. If we do not check insulin levels at the same time as blood sugar levels, we will never properly understand the stage of dysfunction present. It will be difficult to properly educate and advise our patients on the best treatment approach. Even worse, if we do not check insulin levels we run the risk of missing insulin resistance altogether. Such would have been the case with my patient John B. He had previously had a three hour glucose tolerance test, (GTT) done by his primary physician as a screening test for diabetes and told he was fine, all the blood sugar levels were normal. He was very tired and frustrated that he couldn’t lose weight. Even though he ate a lot, he still had food cravings and felt his blood sugar was often low. I told him I wanted to repeat his blood sugar test over a five hour period and check insulin levels. I was surprised by the results. His blood sugar levels were all perfectly normal except his four hour blood sugar level was slightly low. It corrected at the five hour check. When I looked at insulin levels, however, I was shocked. His fasting insulin was not 10, but 272. His one hour insulin should have been at the highest 112 and it was 462. It never dropped below a hundred until the fourth hour when his blood sugar suddenly dropped slightly below normal. Only then did his pancreas slow down the insulin secretion, and it was still above normal. His liver manufactured the necessary glucose he needed to keep his blood sugar from dropping further via a process called gluconeogenesis. He was severely insulin resistant. He was secreting up to 20 times the normal amount of insulin just to keep his blood sugar normal. He was at risk of becoming diabetic. How much longer could his pancreas keep up that level of insulin production? Was his problem his pancreas? Absolutely not. His pancreas was doing its job remarkably well; in fact it was doing more than its job, at least four times more! His problem was every cell in the body EXCEPT the pancreas. His cells were resistant to insulin. By checking blood sugar only, instead of blood sugar AND insulin levels we will fail to diagnose insulin resistance, a reversible abnormal physiologic process that can lead to diabetes. Over the years as the cells are becoming more and more resistant to insulin, the pancreas compensates by producing more and more insulin. This rising insulin goes unnoticed and gets progressively worse, until finally the pancreas can no longer produce enough insulin to keep blood sugars in the normal range. Only then do we see blood sugars rise and only then do we intervene and say “aha, I have discovered that you have diabetes”. What is equally accurate but much less attractive would be to say, “Aha, I have missed and ignored insulin resistance, a progressive, reversible physiologic condition, for the past 10-20 years, and as a result, I have to treat you for diabetes. We missed the opportunity to prevent diabetes, and once diagnosed, we largely overlook the possibility of reversing the disease. Mainstream medicine thinks of type II diabetes as a pancreas problem instead of a cell problem; therefore, they entirely (and I think unknowingly) bypass the cure and go straight to treatment. This is expensive, unrewarding, and in some respects futile. Treating the cells is where the cure lies and is where we should focus our attention clinically. Researchers have already identified seventy or so genes that influence our susceptibility to type II diabetes. As we learn more about the influences of nutritional support on gene expression, we may develop new preventive strategies and treatment approaches that help reverse the condition, not just treat it. The treatment approach should be to make the cells more responsive to insulin so the pancreas doesn’t have to secrete as much. There are a few medications that do improve cellular sensitivity to insulin. Another consequence of insulin resistance is difficultly losing weight and the ability to easily gain weight. Type II diabetes is almost always associated with obesity, (there are of course, exceptions). Why is it so hard for people with insulin resistance or type II diabetes to lose weight? It is because insulin is a fat-storing hormone. The excess insulin secreted tells their body to store more of what they eat as fat. This means they do not get the energy that they should from a meal. They eat again to get the energy they should have received from the last meal. Because of the ongoing excess insulin secretion, they store more of each meal as fat, and on and on. This is a negative cycle that results in people really struggling to lose weight on very restricted caloric intake and even gaining weight on an otherwise reasonable diet. This is terribly unfair. This is often a metabolic condition that the patient and too often their doctor are unaware of. How can you give good advice to a patient about something you don’t know exists? You can’t. I have had the good fortune of treating insulin resistance in many patients and seeing the blood tests normalize. Interestingly, it does not usually require any medication. It does require rather specific nutritional intervention, which directly targets the cellular response to secreted insulin. It also requires very specific physical activity, including mild resistance training and elevated heart rate training. It is critically important to control the protein to carbohydrate ratio in the first meal of the day. In my experience the higher the protein content of the first meal the better, I usually recommend 50% protein or more. 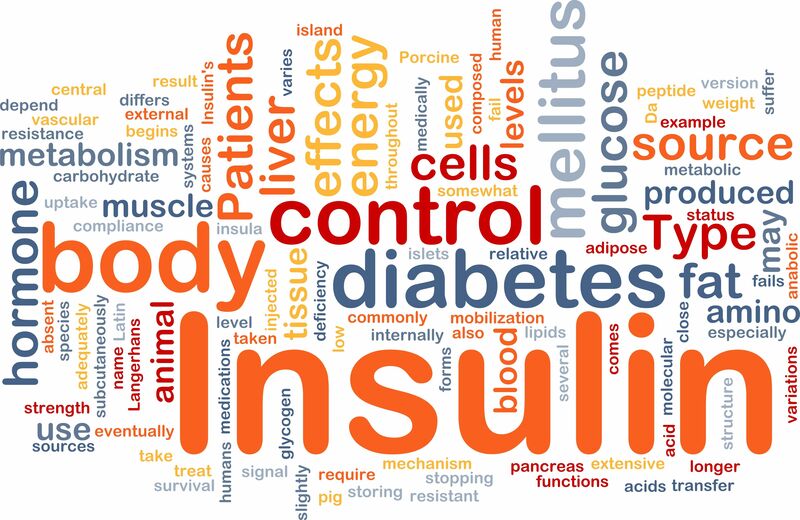 In traditional medicine where we generally check blood sugar levels instead of insulin levels, we miss the opportunity to diagnose insulin resistance or pre-diabetes. If there are 30 million diabetics there are probably 100 million insulin resistant or pre-diabetic cases. This is the low hanging fruit I referred to earlier. Normal glucose metabolism is critical to maintaining a healthy weight, vibrant energy, mood stability, good concentration, vision, exercise tolerance, normal cognitive function, memory, heart, kidney, and lung function, and essentially every other bodily function. Consequences of abnormal glucose metabolism include dysfunction in all of the above mentioned areas and long term vascular consequences leading to premature heart disease, blindness, kidney failure, impotence, and dementia, to name a few. We are failing as a profession to prevent and reverse one of the most common and expensive diseases that faces us today. The long-term complications from diabetes are almost too numerous to count and to get an accurate estimate of the cost to the health care system and the economy is difficult to say the least. It is safe to say that it is in the hundreds of billions of dollars. At Biogenesis we always test for and treat insulin resistance in the most logical comprehensive manner so that we can help you avoid diabetes or reverse it whenever possible.